← …but would Judas Iscariot say “Zut Alors”? The Tin Drum, one of the great novels of the twentieth century, was published in Ralph Manheim’s outstanding translation in 1959. It became a runaway bestseller and catapulted its young author to the forefront of world literature. To mark the fiftieth anniversary of the original publication, Houghton Mifflin Harcourt, along with Grass’s publishers all over the world, is bringing out a new translation of this classic novel. Breon Mitchell, acclaimed translator and scholar, has drawn from many sources: from a wealth of detailed scholarship; from a wide range of newly-available reference works; and from the author himself. The result is a translation that is more faithful to Grass’s style and rhythm, restores omissions, and reflects more fully the complexity of the original work. 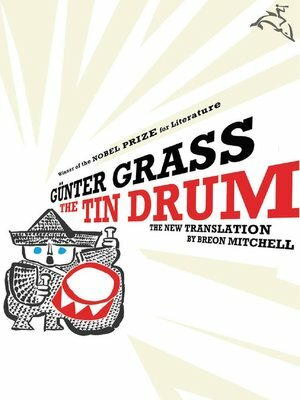 After fifty years, THE TIN DRUM has, if anything, gained in power and relevance. All of Grass’s amazing evocations are still there, and still amazing: Oskar Matzerath, the indomitable drummer; his grandmother, Anna Koljaiczek; his mother, Agnes; Alfred Matzerath and Jan Bronski, his presumptive fathers; Oskar’s midget friends—Bebra, the great circus master and Roswitha Raguna, the famous somnambulist; Sister Scholastica and Sister Agatha, the Right Reverend Father Wiehnke; the Greffs, the Schefflers, Herr Fajngold, all Kashubians, Poles, Germans, and Jews—waiting to be discovered and re-discovered. This entry was posted in eBook Friday and tagged fiction, literature. Bookmark the permalink.